I just love that the beach and outdoors are synonymous with summer – and with Christmas in Australia. It also makes the perfect stimulus for Christmas gifts. We’ve done the leg work and rounded up some of the best beach-inspired gifts around so be sure to show Santa this short list. The swimsuit is the cornerstone of a summer in the water. This classic and classy girls’ one-piece in navy stripe with navy tie (pictured above) is $49 from Alfie and Nina Swimwear. 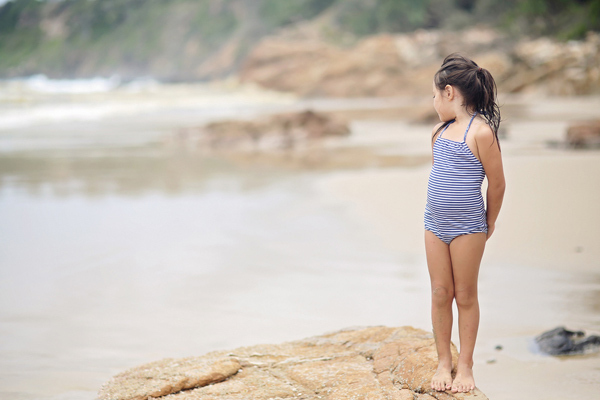 Cute and nautical inspired, the swimsuit is UPF 50+, chlorine resistant and quick drying so kids are sure to outgrow it before it fades and stretches out of shape. 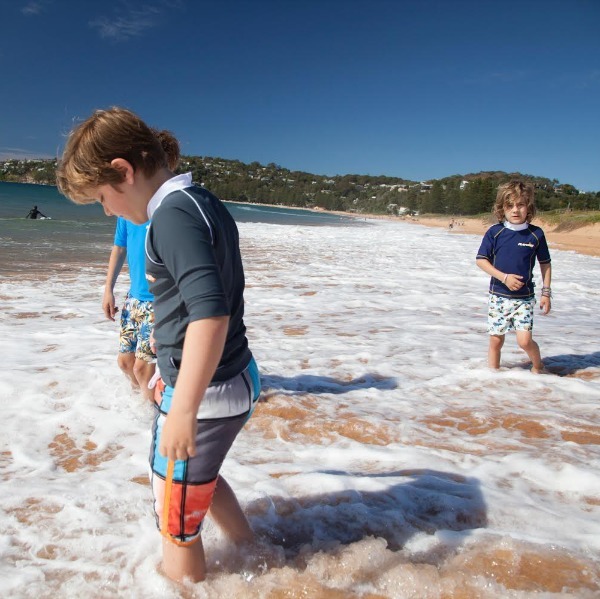 Of course, sun protection is a must so we can let kids play the day away in our harsh Aussie sun. These rash shirts from Babes in the Shade get both the parent and kid tick of approval. The Indian Navy rash shirt for boys has a half zip at the back to help slip it over the head and the Mieke Green version for girls has a gorgeous green Dutch print and full zip at the front for easy changing. Both rashies retail for $44 and are UPF 50+, chlorine and sea water resistant. 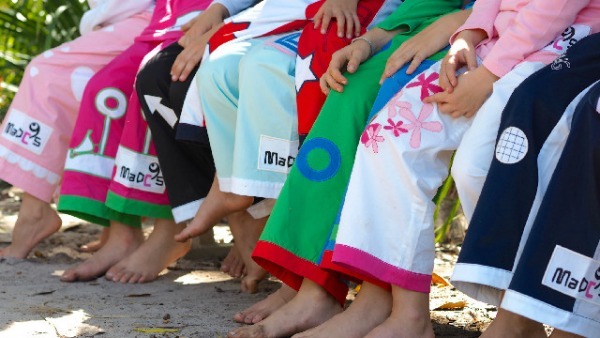 Perfect for summertime sleepovers, MADC’s (pronounced mad sees) design only the loudest, brightest, coolest anywhere wear for active kids. Designed specifically to not look like sleepwear, MADC’s suits active families and kids who love to travel, eat out, entertain in, socialise and appreciate the outdoors. Made from cotton fabric that is durable and breathable – because kids don’t stop being kids just because they have their PJs on! Buy a set for $49.95 which includes a top, pair of pants and a sleepover bag. Conjuring images of summer days cooled by sweet icy treats, the Mary Jane Canvas Icy Poles from Walnut are sure to delight little girls on Christmas morning. Not only are they fun and stylish, they are lightweight and breathable and perfect for everyday wear. The shoes are the perfect size for stuffing in stockings. Mary Janes from Walnut’s classic canvas collection cost $29.95 and will be an easy winner this summer. Vintage is in and ideally suited to lazy summer days at the beach. These retro cars swim shorts from Platypus Australia will keep your little man stylish in and out of the water. Priced at $44, they come in size 0-8 and are quick drying to wear all day, ultra chorine resistant, breathable and UPF 50+; these are sure to become an everyday favourite. All towels are not created equal and the Wovii is quick to rise to the top. No more damp, sandy towels, the Wovii is quick drying, extra absorbent and luxuriously soft – they are like the new and improved chamois towel. No more postage stamps though, the standard Wovii is normal bath towel size so you can lie on it and wrap it around your waist. It is still lightweight for lugging down to the beach and hardwearing enough to go in the washing machine and dryer. Available in a collection of fun, summery colours, the Wovii towel retails for $29.95 and can be bought direct from Wovii shop. Hours of fun can be had if you have the right tools of the trade. How about a little education and world class architecture for your next play in the sand? 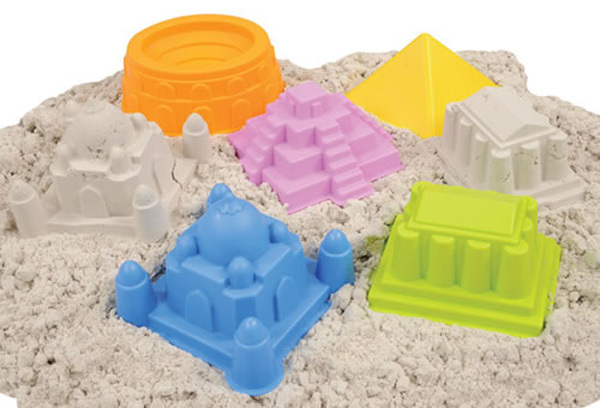 These World Landmarks Sand Moulds would certainly set your next sand city apart from the rest. The set includes the Parthenon, Taj Mahal, Mayan Pyramid and Colosseum. Buy it for $45.55 from Fishpond and get free shipping included. Lime Tree Kids also has some landmark moulds available separately from $3.95. When a busy day in the sun is done, and it is time to hit the road, this charming unisex Beach Robe from Terry Rich is the perfect way to get kids home. 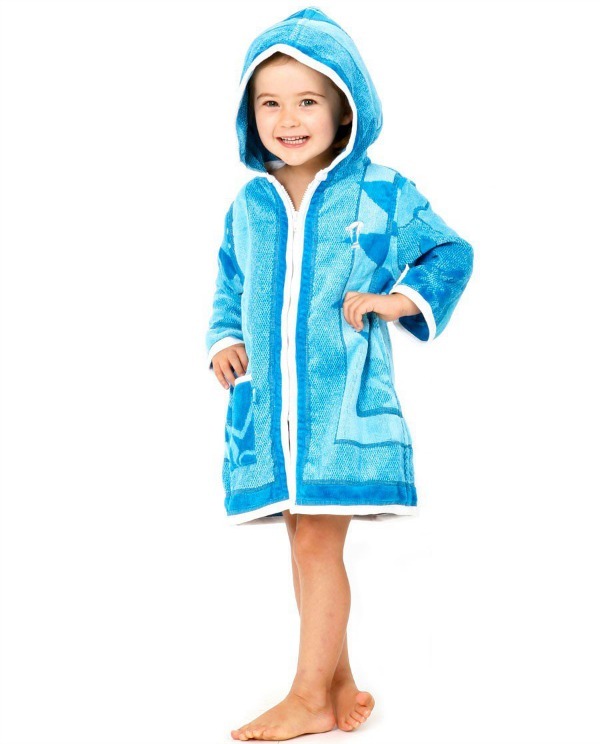 Warm and snuggly yet made from thick and absorbant 100 per cent cotton toweling, this durable robe has a zip down the front instead of a tie, so it will stay on active little bodies. Priced at $89.90, there are lots of colours and styles available. 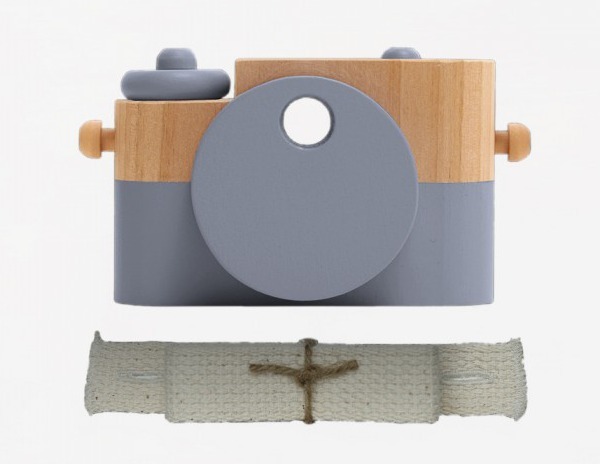 Budding photographers will get trigger happy with this handcrafted Twig Creative pixie camera. With movable knobs, buttons and a rotating view finder this wooden camera has a beautiful simplistic design that Twig Creative is renowned for. Available from Designstuff for $48 in a matt charcoal and natural wood colour, there are lots of other colour options to choose as well. What a fantastic way to inspire kids to investigate every tidal pool and crab hole. 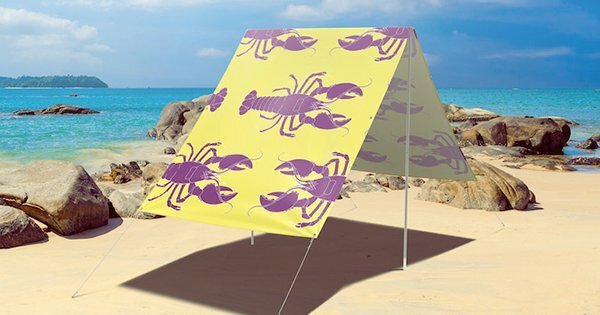 Move over, teepee, this is the latest and greatest tent for hanging in the backyard, park or beach. The Field Candy Sunshade comes in a range of bright and fun prints to inspire an awesome day of play for the kids. 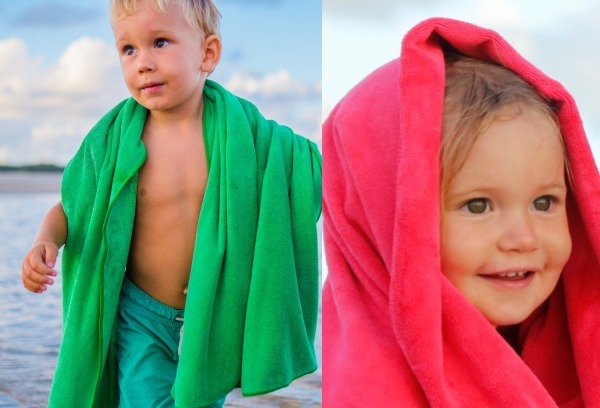 They have a UV rated protection of 50+ so kids will stay out of the sun and the fabric won’t fade overnight. The printed sunshades cost $235 and are available directly from Field Candy. I’m officially excited for summer now, Santa, take note.